The Majestic God Cares About Us! When I look at your heavens, the work of your fingers, the moon and the stars, which you have set in place, what is man that you are mindful of him, and the son of man that you care for him? (vv. 3-4). 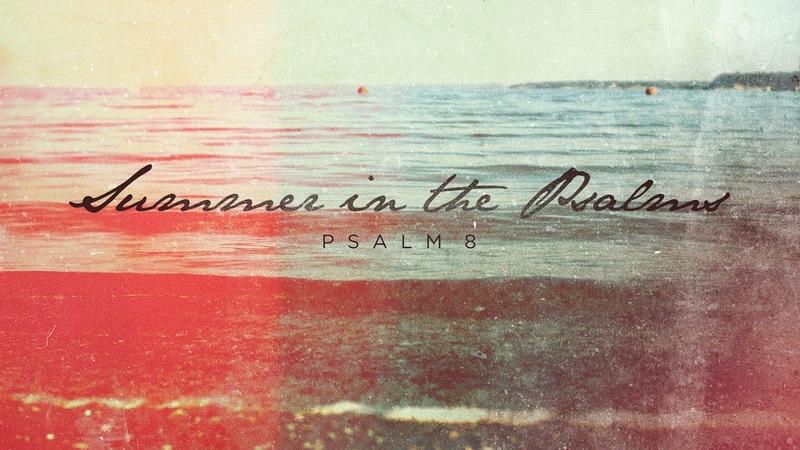 Psalm 8 is a hymn of praise written by David. In the psalm, David talks about the stars that God has made (v. 4). In his younger days, David was a shepherd boy. And I’m sure there were many nights when David would lie on his back and gaze at the stars. Today we know much more about the stars than David ever did. How many stars do you think there are? There are many more stars that the naked eye can see. In our galaxy alone, there are about 400 billion stars. And according to one recent estimate, there are at least 2 trillion galaxies. Other than the sun, the closest star to earth is Proxima Centauri—4.2 light years away. If you traveled in the world’s fastest spacecraft, it would take you 70,000 years to reach that star. Psalm 8 begins and ends the same way: “O LORD, our Lord, how majestic is your name in all the earth!” (vv. 1a, 9). In the original Hebrew, “LORD” is Yahweh. Yahweh is God’s name. So we could read verse 1 this way: “O Yahweh, our Lord….” The meaning of the name is “I AM WHO I AM” (Exod. 3:14). God is unchanging. He is who he is and that will never change. Verse 1 goes on to say, “You have set your glory above the heavens” (v. 1b). Psalm 19:1 states, “The heavens declare the glory of God.” The apostle Paul writes, “[God’s] invisible attributes, namely, his eternal power and divine nature, have been clearly perceived, ever since the creation of the world, in the things that have been made” (Rom. 1:20). The heavens are glorious, but God is more glorious. David writes, “When I look at your heavens, the work of your fingers, the moon and the stars, which you have set in place, what is man that you are mindful of him, and the son of man that you care for him?” (vv. 3-4). God is big; we are little. We are nothing in comparison to God. 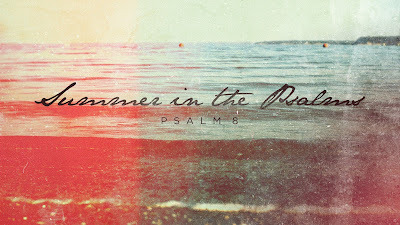 Psalm 8 was written to encourage God’s people to praise God. Why should we praise God? Here’s one reason: We are so little, but God has done big things for us! The God who made the stars is the same God who cares about us! This truth filled David with awe, and it should fill us with awe as well. God Has Done Big Things for Us! What big things has God done for us? Second, God has “given [us] dominion over the works of [his] hands [i.e., his creation]” (v. 6). God says in Genesis 1:26, “Let them [i.e., humans] have dominion over the fish of the sea and over the birds of the heavens and over the livestock and over all the earth and over every creeping thing that creeps on the earth.” We were made to represent God on earth, to rule over the earth (not abuse it). Third, God became like us in order to save us. The big God made himself little. In Hebrews 2, the writer of Hebrews quotes Psalm 8 and says that the psalm points forward to the man (i.e., Jesus): “We see him who for a little while was made lower than the angels, namely Jesus, crowned with glory and honor because of the suffering of death, so that by the grace of God he might taste death for everyone” (Heb. 2:9). When Jesus was on this earth, he called himself the “Son of Man.” Though he became human like us, he was still God. He once said to the Jewish religious leaders, “Truly, truly, I say to you, before Abraham was, I am” (John 8:58). He was saying, “I am Yahweh.” Though Jesus is Yahweh, he “made himself nothing, taking the form of a servant, being born in the likeness of men. And being found in human form, he humbled himself by becoming obedient to the point of death, even death on a cross” (Phil. 2:7-8). Think about who God is and what he has done! The big God made himself little! The majestic God cares about us! The maker of the stars loves us some much that he died on a cross for us! The heart of man plans his way, but the LORD establishes his steps (Prov. 16:9). The Bible says that God is in control of absolutely everything. “The heart of man plans his way, but the LORD establishes his steps” (Prov. 16:9). “The lot is cast into the lap, but its every decision is from the LORD” (Prov. 16:33). God “works all things according to the counsel of his will” (Eph. 1:11). 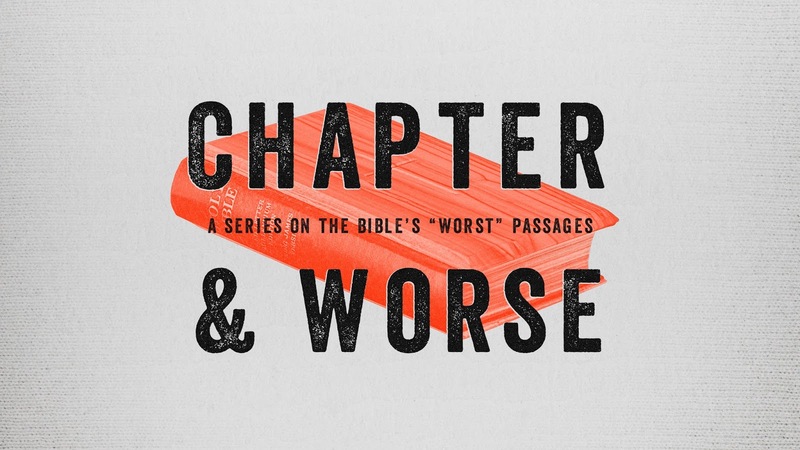 The Bible rejects fatalism. The story of Joseph and his brothers illustrates this. Joseph said to his brothers who years earlier had sold him as a slave, “As for you, you meant evil against me, but God meant it for good, to bring it about that many people should be kept alive, as they are today” (Gen. 50:20). God has a sovereign plan that will come to pass and he will accomplish that plan through the real choices of humans. God “chose us in [Christ] before the foundation of the world” (Eph. 1:4). But that doesn’t mean that we were forced to choose to put our trust in Christ. And it doesn’t mean that some people are unable to put their trust in Christ. God invites all people to be saved (“Everyone who calls on the name of the Lord will be saved,” Rom. 10:13), and God allows people to reject the gospel—even though God “desires all people to be saved and to come to the knowledge of the truth” (1 Tim. 2:4; cf. 2 Peter 3:9; Ezek. 18:32). We Can't Figure It Out! Deuteronomy 29:29 says, “The secret things belong to the LORD our God, but the things that are revealed belong to us and to our children forever, that we may do all the word of this law.” John Calvin said, “When God closes his holy mouth, we should desist from inquiry.” We don’t know how God can have a sovereign plan that will come to pass that will be accomplished through the our choices. Don’t worry about figuring out what God hasn’t revealed to us, and do what he has revealed to us. God has given us the ability to break his commands, but he doesn’t approve of our sin. Joseph’s brothers were responsible for their evil actions even though God used what they did to accomplish his sovereign plan. The crucifixion of Jesus is the best example of God accomplishing his sovereign plan through the breaking of his commands. “This Jesus, delivered up according to the definite plan and foreknowledge of God, you crucified and killed by the hands of lawless men” (Acts 2:23; cf. 4:27-28). Who was responsible for the death of Jesus? Both the enemies of Jesus and God the Father. “It was the will of the LORD to crush him” (Isa. 53:10). Our ability to make choices leads to sin. God made a choice: the cross. Now we have a choice: accept or reject the gospel. “Anything in the seas or rivers that does not have fins and scales, of the swarming creatures in the waters and of the living creatures that are in the waters, is detestable to you” (Lev. 11:10). One of my traditions is to take my kids to John’s Lunch on their last day of school. I always get the clams. But according to Leviticus 11, clams and every other type of shellfish are not to be eaten. Why don’t I obey this command? Am I guilty of selective obedience—picking and choosing which laws of God I want to obey? The Bible was not written all at once. It was written over a long period of time. Not all of the Bible’s commands are for us. For example, we aren’t expected to obey the very first command of Scripture—the command given to Adam and Eve forbidding them to eat the fruit of the tree of the knowledge of good and evil (Gen. 2:17). It's not uncommon for laws to change over time. Margarine was banned in Canada until 1948. And it was illegal to sell buttered-coloured margarine in Ontario until 1995. There were three kinds of laws given to Israel in the OT: civil, ceremonial, and moral. The laws regarding clean and unclean food were ceremonial laws. These laws were fulfilled in Christ’s death on the cross, which is able to take away all of the sin that makes us unclean. Jesus declared, “Do not think that I have come to abolish the Law or the Prophets; I have not come to abolish them but to fulfill them” (Matt. 5:17). In Mark 7, the Pharisees confront Jesus because some of his disciples hadn’t washed their hands before they ate (vv. 1-5). Jesus responded by telling the Pharisees that they have a heart problem: “Well did Isaiah prophesy of you hypocrites, as it is written, ‘This people honors me with their lips, but their heart is far from me; in vain do they worship me, teaching as doctrines the command-ments of men’” (vv. 6-7). In verse 15, Jesus says, “There is nothing outside a person that by going into him can defile him, but the things that come out of a person are what defile him.” Mark interpreted Jesus’ words as meaning that all food is clean (v. 19). What really defiles a person is not what goes into the stomach but what comes out of the heart (see v. 18-23). Why did God give the dietary laws to the people of Israel? He wanted them to be holy (i.e., different). After giving these laws, God says, “Be holy, for I am holy” (Lev. 11:44). This command is repeated in the NT: “As he who called you is holy, you also be holy in all your conduct, since it is written, ‘You shall be holy, for I am holy’” (1 Peter 1:15-16). We are to be different—not because of what goes into our stomachs but because of what comes out of our hearts. Jews and Muslims still refrain from eating “unclean” food (e.g., bacon). In Mark 7:14-23, the word “defile” is used. This was a big issue among Christians in Marks’ day (Acts 15).